Patient care is the core of your business. From reception through to discharge, patients rely upon your un-paralleled medical expertise. Yet that medical care is not delivered in isolation. Massive amounts of data are required to operate Healthcare businesses and support clinical decisions. That is where Ricoh comes in. Ricoh is a global leader in the transformation of documents to actionable data. Our services and solutions are tailored to the needs of the healthcare sector. They will help streamline administrative processes, improve access to information, facilitate collaborative working and release medical resource to front-line care. Healthcare organizations have complex information flows. Data may be integrated into your healthcare system from many disparate sources, including fax and document images, data from outside systems and electronic health records from outside healthcare agencies. Data may need to be sent to outside agencies in a variety of formats to accommodate varying levels of technology adoption. By digitizing patient records, streamlining information workflows and increasing mobility, Ricoh can ensure the exchange of information within hospitals is easy, efficient and secure, while centralizing all records. This provides ease of access for medical staff not only at their hospital or clinic, but also between different locations. Managing document intensive processes can be a challenge. Printing complete patient records for transfers to outside agencies may require output from numerous systems. Documents can be lost on large workgroup printers with many users and patients being served. Creating direct mailings is a complex process. Processing the information, printing out documents and directing the printed documents to the right location ties up valuable resource and can prove expensive. Ricoh can help by managing document intensive processes for you. Depending on your requirements, we can provide printer output management, including a managed off-site service. Ricoh can assure responsibility for your existing in-house print room, mail room, scanning and archiving services. Either way, Ricoh will help you save time and money. Information security is an ever increasing issue for hospitals. Protecting patient health and financial information is critical and in many cases required by local laws. Safeguarding patient confidentiality, Ricoh holds global ISO 27001 accreditation for information security management. We can help you create strategies to secure data, reduce opportunities for data breaches and provide a safer overall environment for healthcare information. Ricoh’s healthcare printers and Multi-Function Devices combine everyday convenience with long lasting security. They are fast, affordable and effortlessly reliable. Depending on the model selected, they provide the means to print, copy, scan and share in colour and/or black-and-white, including security features, such as Locking Trays and Secure On-Demand Printing. 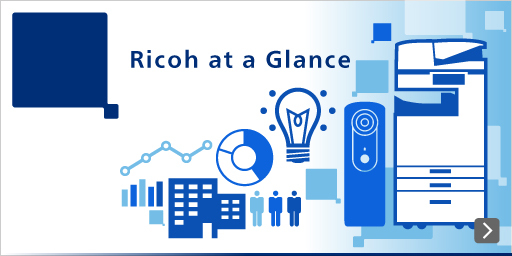 To learn more about Ricoh’s Healthcare offering, please visit following pages.